Now that I’ve given you a little introduction to what needle felting is and the basic supplies used for needle felting, let’s try out an easy needle felting project. 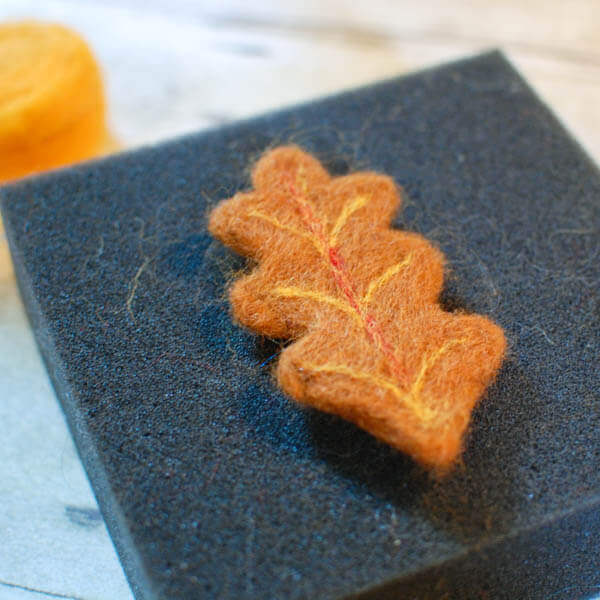 If you missed my Introduction to Needle Felting post, you can read it by clicking here. For this project, you need the basic tools I showed you in the Intro post, as well as a cookie cutter. You can pick any shape you like or have on hand. Since I am in an Autumn mood I thought leaves would be nice. 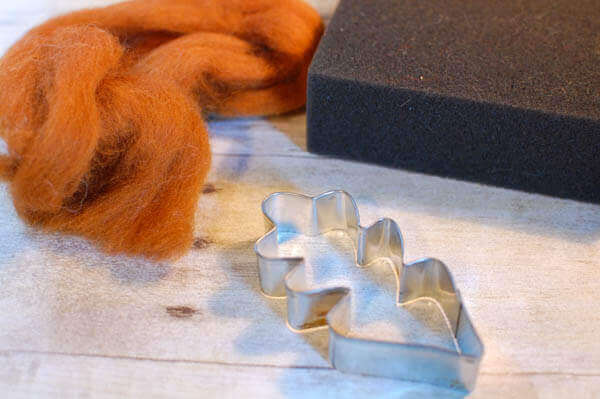 To start your project, just place your cookie cutter on your foam pad and fill it loosely with your wool roving. Now just start poking the wool with your needle. 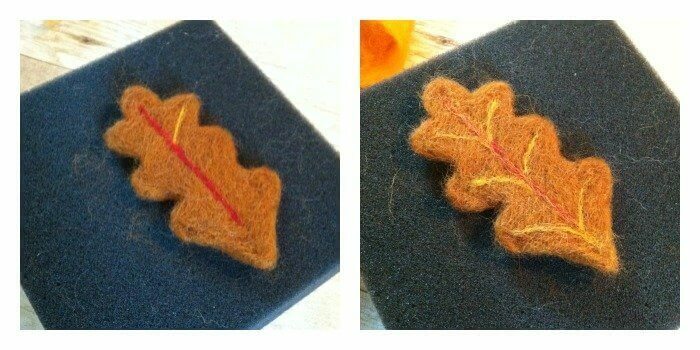 I used my 3 needle Clover tool for mine, but a single needle will work fine too. Remember not to stab too deeply or your wool will start getting stuck in your foam. (Pop quiz: What is this action of poking the wool with your needle called? Just making sure your paying attention ;).) Make sure to work the wool into all your corners too. If a section of your project is looking a little skimpy, you can just pull off another wisp of roving from your package and needle right in there. Once your have compacted your wool a bit, flip the cutter and wool over and do the same to the other side. When you feel like you have compacted the wool enough, pop your piece out of the cutter and, voilà, you have your shape. Now you can leave it as is or work it some more, or even add some detail. I didn’t like some of the creases that still remained in mine so I worked a little more roving in those areas. 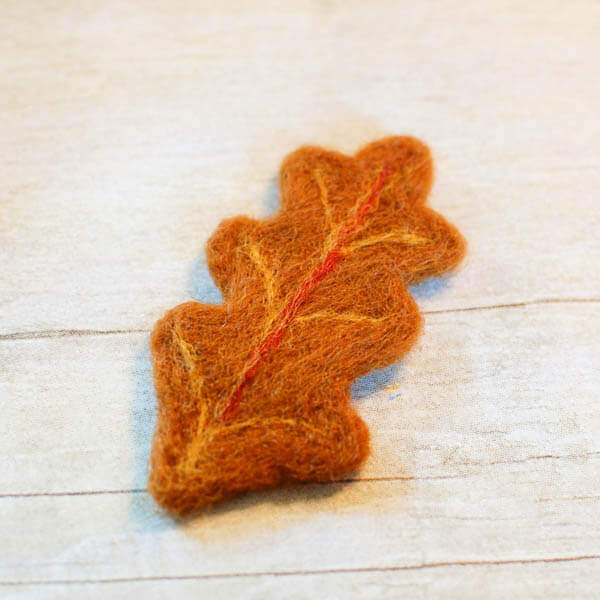 To add detail to my leaf, I pulled off little wisps of roving and rolled them in my palms a few times; then I used my single needle to poke it into place. Just keep adding wisps and details in whatever way your imagination and creative spirit moves you. I think this leaf will add a nice touch to an Autumn bunting. Can’t wait to see what you come up with! Click here for more of my needle felting projects. I love that you used a cookie cutter to keep shape! 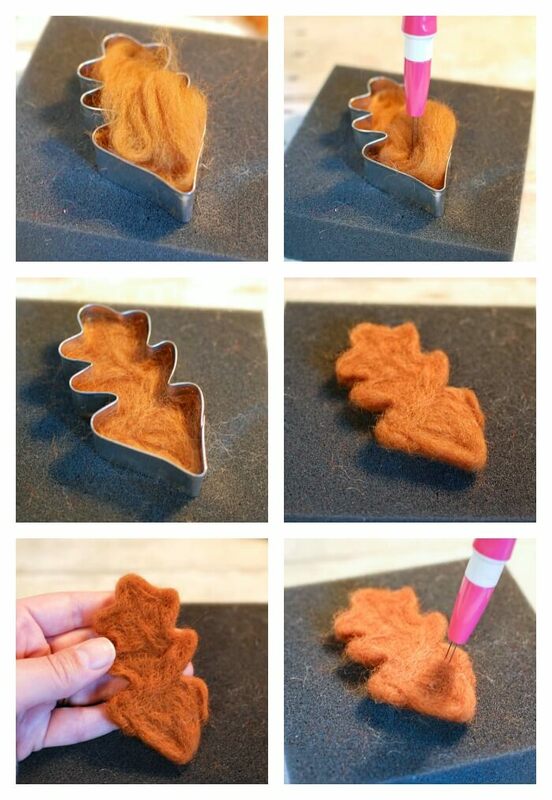 I included this craft in my fall crafts round up. 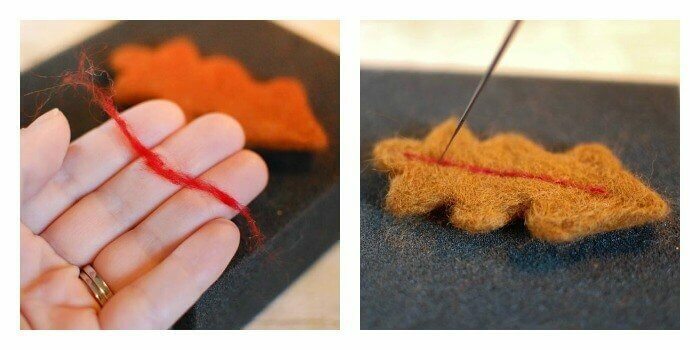 I’ve been wanting to try needle felting and this is super inspiring! Thanks for linking up on Hookin On Hump Day!